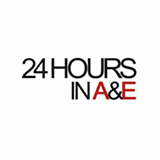 24 Hours in Emergency is a British reality and medical television series that is set in the A&E department King's College Hospital in Denmark Hill (Camberwell) and later on at the A&E room at Saint George's Hospital in Tooting (Wandsworth). The idea behind the series is to provide viewers with an unprecedented look into some of Great Britain¡s busiest Accident & Emergency departments. The success of 24 Hours in Emergency has led to the show's production company producing several related shows, including a four-part documentary on mental health called Bedlam and another medical documentary called Keeping Britain Alive: The NHS in a Day. 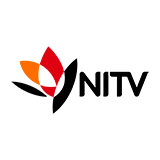 The original 24 Hours in Emergency was the recipient of Royal Television Society Award in the category Documentary Series in 2012. The stories of three patients filmed over 24 hours at St George’s. Martin, 48, is seriously hurt after crashing his paraglider. Eddie, 73, who is being treated for cancer, takes a turn for the worse, Meanwhile, Graham, 72, has a persistent nose bleed. The stories of three patients filmed over 24 hours at St George’s. Christie, 25, is rushed to St George’s with severe burns. Joe, 23, has been stabbed in the thigh, and 2 year old Freddie has a pain in his eye. The stories of three patients filmed over 24 hours at St George’s Hospital. Lillian, 75, has pancreatic cancer and low blood pressure. Dennis, 78, damaged his ribs, and 32 year old Carolyn fell and banged her head while out with friends. The stories of three patients filmed over 24 hours at St George’s. John, 54, comes into A&E after going over the handlebars of his bike. Sydney, 87, is suffering from severe chest pain, and Alan, 84, comes in after falling on his elbow. The stories of three patients filmed over 24 hours at St George’s. Richard, 47, arrives at St George’s after falling 10 feet from a ladder. Doreen, 87, is rushed to resus with a serious infection, while 5 year old Connor John is in paediatrics with his Dad after falling on his elbow at home. The stories of three patients filmed over 24 hours at St George’s. Danny, 41, has fallen 20 foot through a skylight. Tara, 27, has severe abdominal pain, and three year old Clara has a chickpea stuck up her nose. The stories of three patients filmed over 24 hours at St George’s. Judy was trampled by a herd of cows. Tamzen, 13, broke her leg on a trampoline, and Hermione, 18, has cut her hand on a glass. The stories of two patients filmed over 24 hours at St George’s. Ky, 18, was knocked off her motorbike in a hit and run accident. Aleks, 41, is suffering memory loss and confusion after falling from her loft at home onto her head. The stories of three patients filmed over 24 hours at St George’s. Billy, 25, has been involved in a motorcycle accident. Stephen, 58, comes in with a suspected stroke, while 2 year old Freddie has jammed his thumb in a door. The stories of three patients filmed over 24 hours at St George’s. Delivery man Hussnain, 24, was knocked off his moped by a car being chased by police. Part-time wrestler Kieran injured his knee in the ring, and Edward, 76, has difficulty breathing.